Lag Ba&apos;Omer is a festive day in the midst of the mourning period known as Sefirat Ha&apos;Omer. 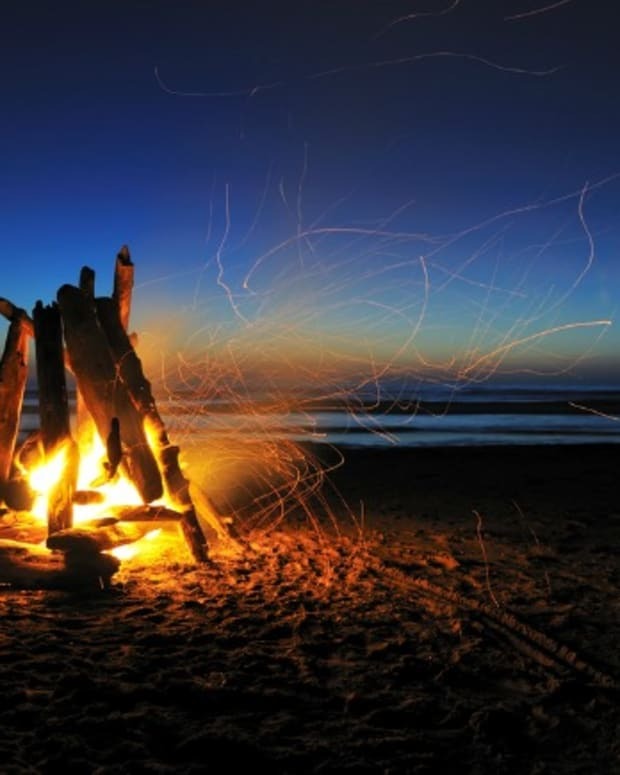 Traditionally people make bonfires and children play with mock bows and arrows to celebrate the life and teachings of Rabbi Shimon Bar Yochai. 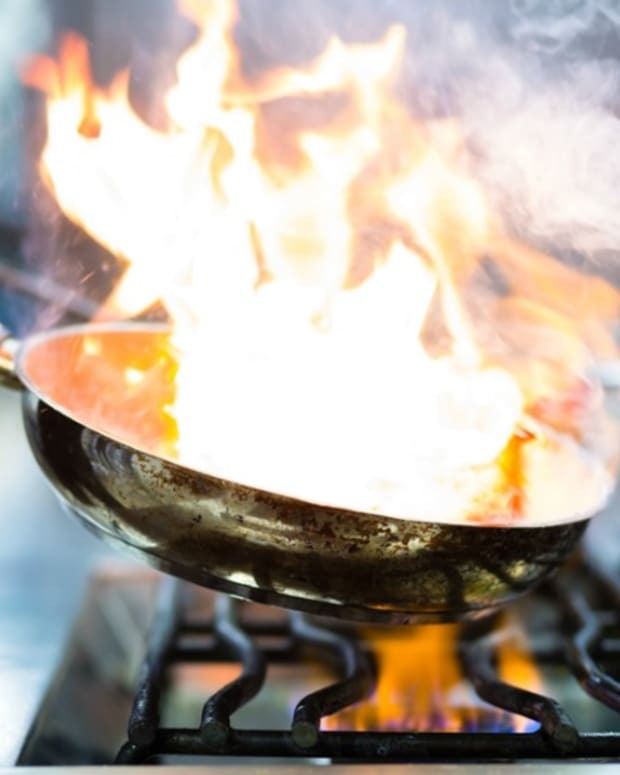 It seems that there are not necessarily a group of foods that people identify specifically with Lag Ba&apos;Omer, although in Israel that seems to be changing. This holiday is celebrated with vigor around the country, but none more so than in Meron, the resting place of Rabbi Shimon Bar Yochai. Many celebrate the holiday with kebabs and traditional foods, and many Americans have brought the tradition of s&apos;mores to the holy land. 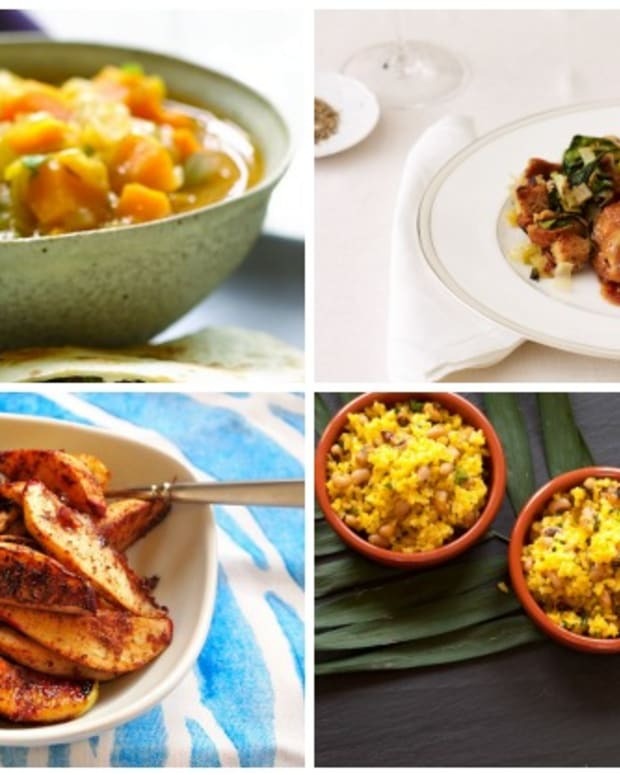 Below are 15 Israeli Inspired recipes for your Lag Ba&apos;Omer celebration. 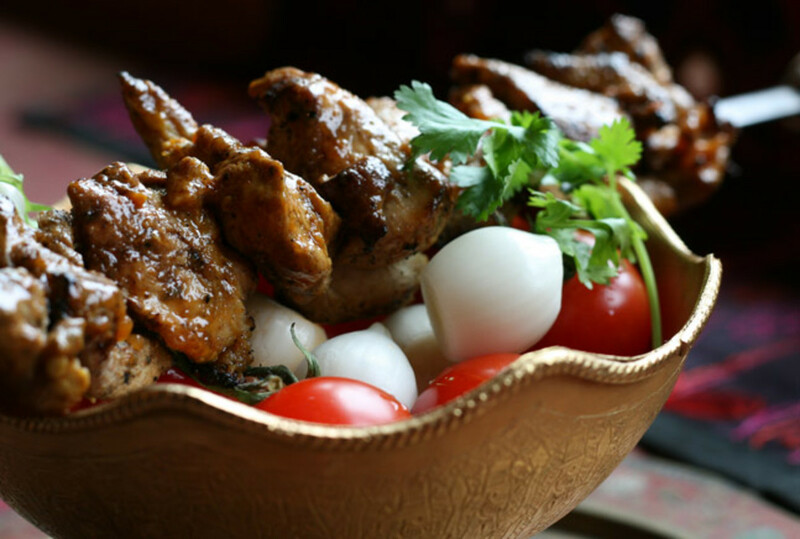 Chicken Kebab- Joojeh Kebab: This kebab is inspired by a mix of traditional Persian flavors including saffron and turmeric. Any fears of serving tough or dry meat can be forgotten because this marinade makes the chicken tender and flavorful. A great alternative are the classic Chicken and Veggie Skewers. 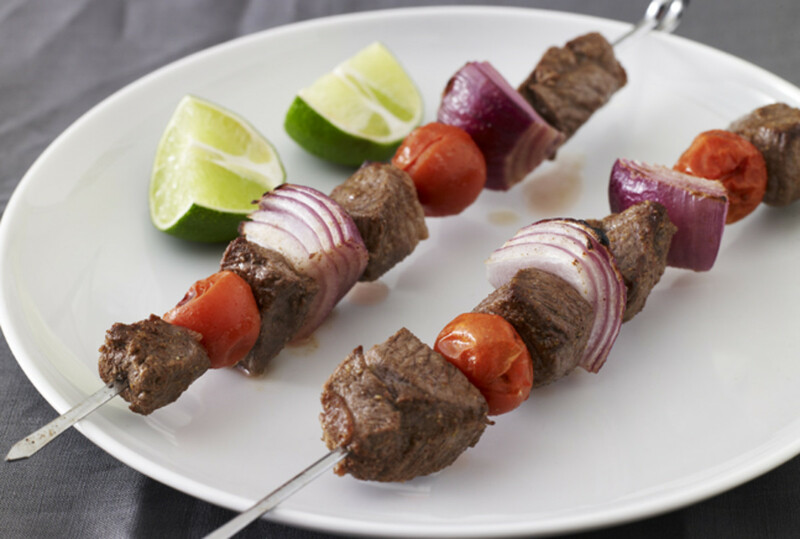 Lamb, Cherry Tomato and Red Onion Kebabs: Lamb is a great twist on the classic beef kebab. Pile on cherry tomatoes and red onions and enjoy a fantastic combination of savory lamb, sweet roasted tomatoes and the sharpness of red onion. 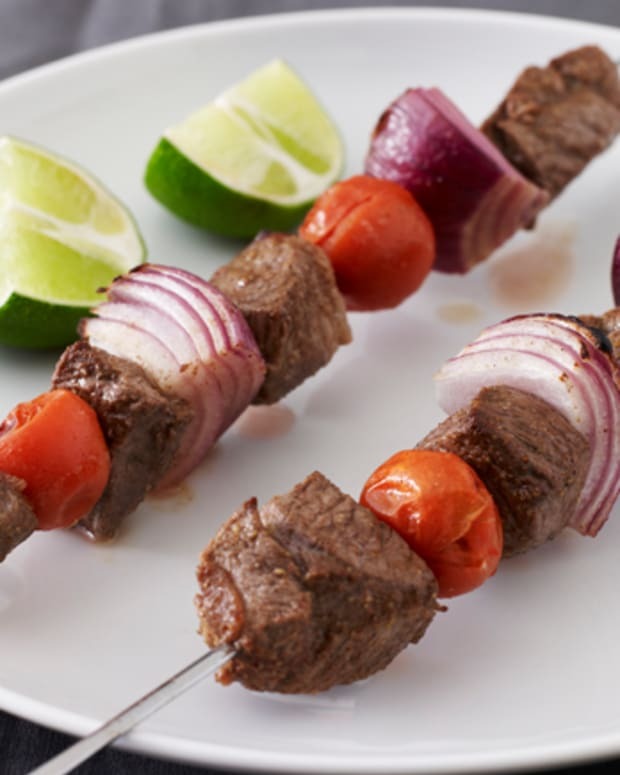 Or take the beef kebab to the next level with Grilled Chimichurri Beef Kebabs. 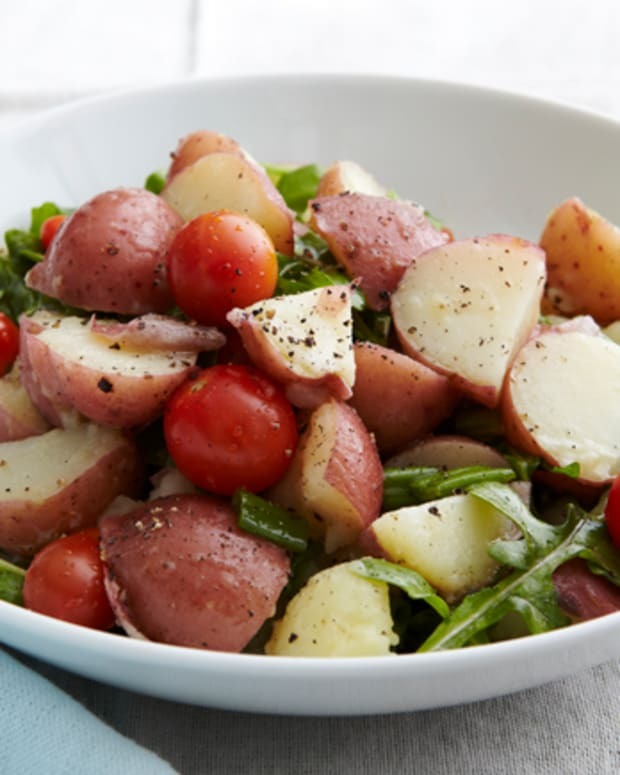 Israeli Potato Salad: I was thrilled to find out that my family wasn’t the only one who approached potato salad with the everything-but-the-kitchen-sink approach! In my family we call this “Aunt Ettie’s famous Potato Salad”, we skip the paprika; go light on the pickle juice; and use the canned baby peas and carrots instead of frozen peas. 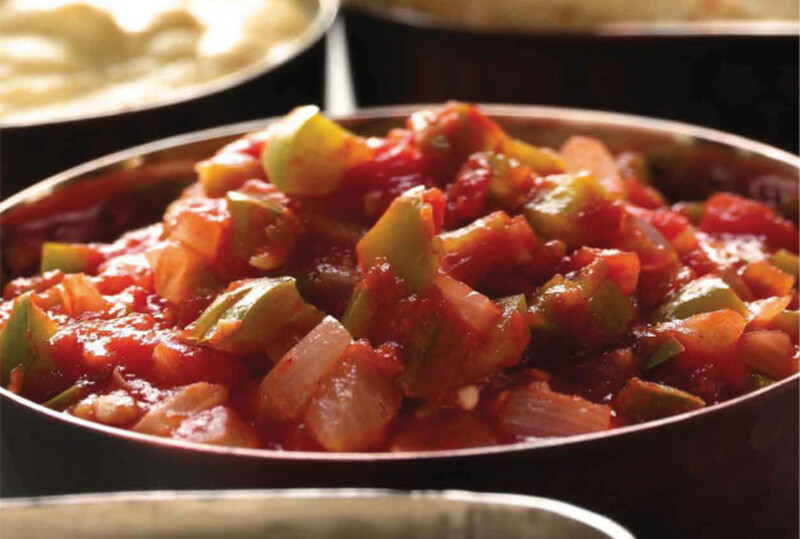 In short, this recipe can be easily altered to fit your family’s preference. 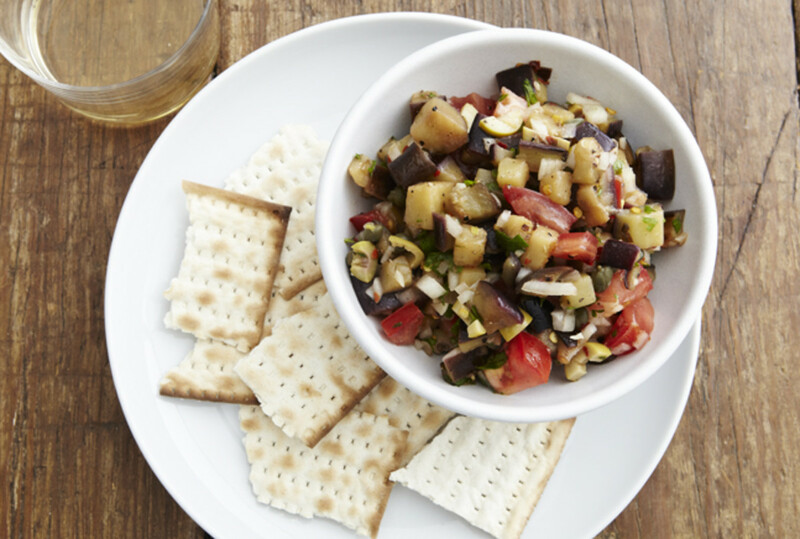 Once you find the right balance, you’ll find yourself serving this potato salad not only on Lag Ba’Omer, but for every shabbos lunch! Turkish Salad: I love how this recipe takes accessible ingredients and transforms them into an global eating experience; you probably have most of these items in your kitchen already! 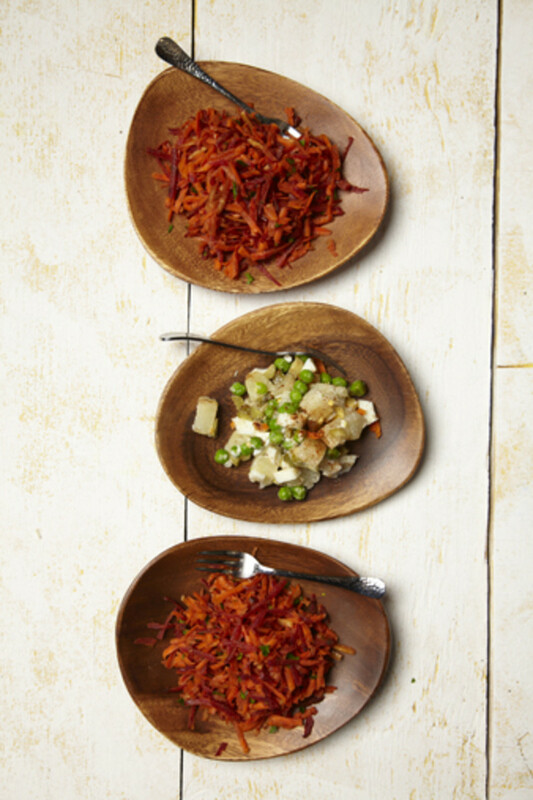 Israeli Salad:So simple, yet so delicious. I could capture the quintessential flavors of Israeli salad, but this recipe makes it so easy, the olive to lemon ratio is 1:1. 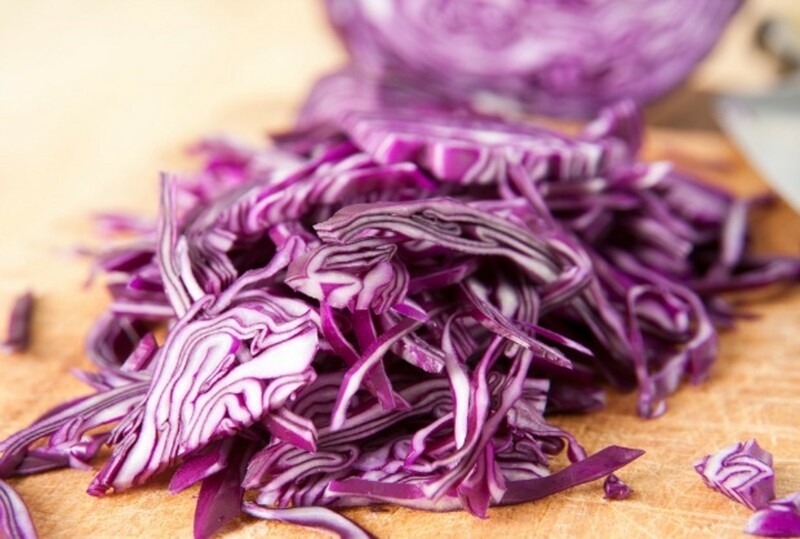 Another super quick salad sure to put a smile on people’s faces is the Israeli Cabbage Salad. You can’t serve traditional Israeli foods without some form of eggplant! Try one or try all of these versatile eggplants recipes. 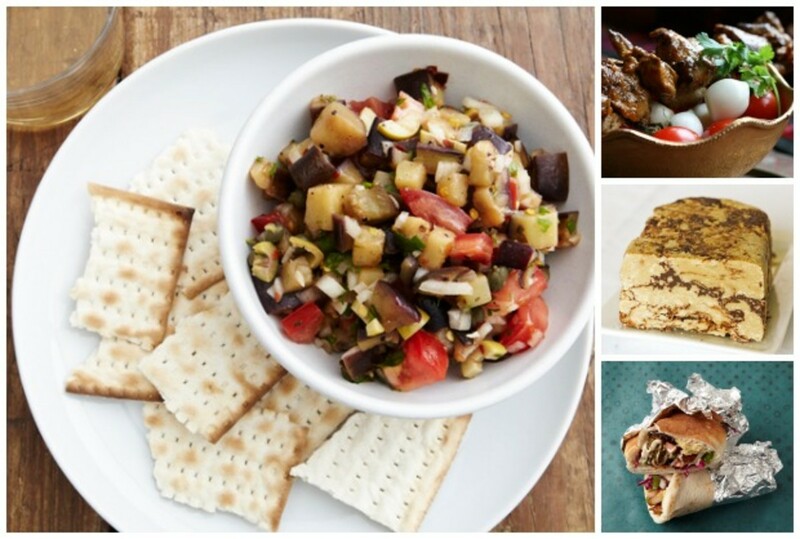 There’s the Spicy Eggplant Salsa, Marinated Eggplant Salad, and Eggplant Babaganoush. 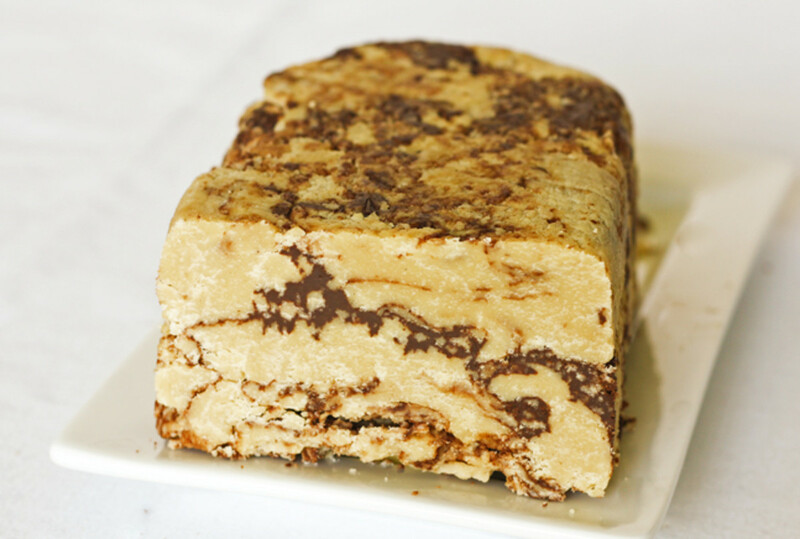 Luck for all of us in Chutz La’aretz, popular Israeli street foods can be found in almost every major city. 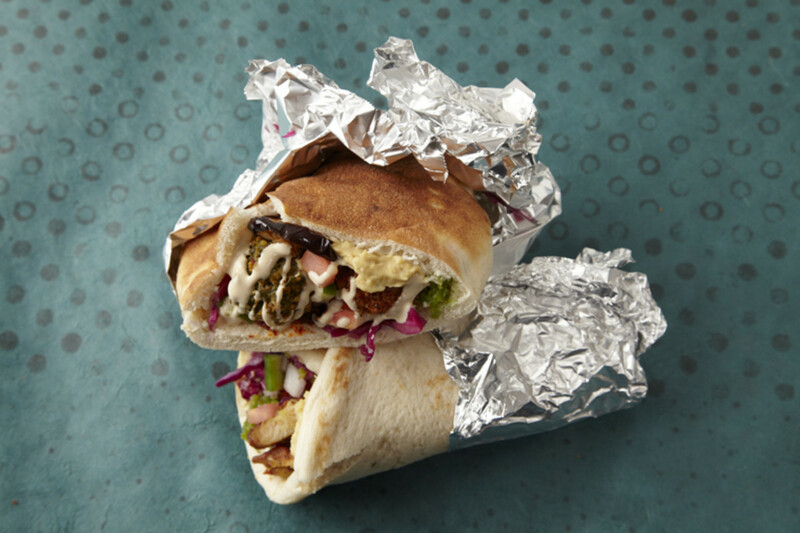 Now, you can make Homemade Shawarma and Falafel in your own kitchen without a massive spinning griller or a deep fryer!